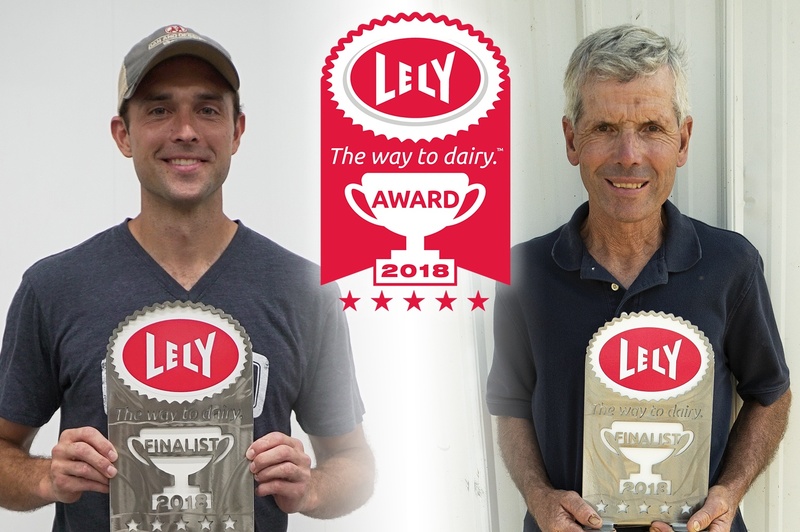 The final two of four finalists named for The Way to Dairy Award are Dustin Takes of Takes Dairy Farm in Iowa and Charles Carter of Carterly Farm, Inc. in Indiana. Lely North America presented these two finalists at World Dairy Expo in Madison Wisconsin. The other two finalists were announced at the Canadian Outdoor Farm Show in September. Takes and Carter are both involved in thriving family dairy operations, dedicated to finding innovative solutions to continue supporting a growing economy while maintaining the health and productivity of their herds. The pool of finalists will be asked to participate in an interview with a panel of judges and the finalist with the highest overall score will be named the winner of the award. The winner will be awarded a grand prize of either a Lely Astronaut A5 milking system or a recently re-launched Lely Vector automated feeding system.